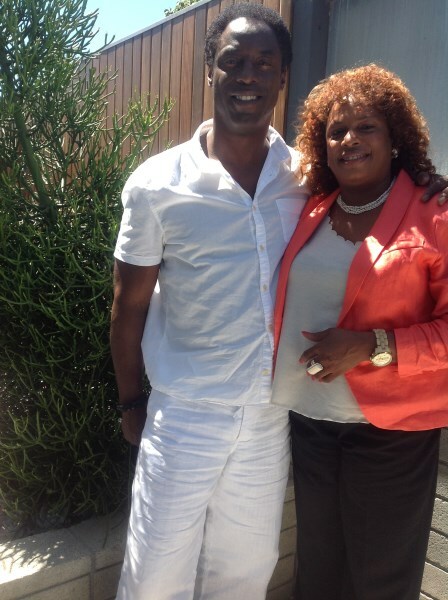 Two of Sierra Leone’s most noted philanthropists –Goodwill Ambassador Mrs. Isatu Timbo-Nwokedi and famous Actor Isaiah Washington –have paired up to do voluntary humanitarian work together to help Sierra Leone. Both personalities last week announced to COCORIOKO their plans to work together as a team . Mrs. Timbo-Nwokedi and Mr. Washington have an impressive record of humanitarian work in Sierra Leone. Since she started her philanthropic enterprise in Sierra Leone, Mrs. Timbo-Nwokedi has on many occasions sent containers of medical equipment and supplies to the country to equip various hospitals and clinics. She has also donated books to colleges and sponsored mulims to Mecca to attend the annual Hajj. Mr. Washington, originally an African-American, through DNA traced his maternal ancestry to Sierra Leone. He fell in love with the country and has donated medical supplies to a hospital . Through his Gondobay Manga Foundation , Washington opened his first school, known as Chief Foday Golia Memorial School, in the Njala Kendema village for 150 students in grades K-5 . He was granted Sierra Leonean citizenship by President Ernest Bai Koroma , the first ever African-America to receive such an honor based on DNA. Both personalities have not disclosed yet the areas in which they plan to collaborate but given their past impressive records of humanitarian work, it is a partnership that will bless Sierra Leone abundantly.